One of my interesting resources for new books might come as a surprise to some. This occurs when I read a novel with characters who give high praise to a novel they admire. I read a novel by Japanese novelist, Natsume Sōseki based solely on the title, Kafka on the Shore. I loved it and have since read a couple of others. I recently reviewed the latest novel of Haruki Murakami, Men without Women. This novel led me back to Sōseki and, what is purported to be, his masterpiece, KoKoro. I, too, lavish a ton of praise on Sōseki for this puzzling and interesting novel. The book is divided into three parts. Part One is “Sensi and I,” which tells the story of a young, unnamed college student. One day at the beach, he sees a man who dives into the ocean and swims out of sight. He continues watching until the swimmer returns. The young man sees him twice more, but he never strikes up a conversation. Finally, he introduces himself, but the man, who he has named “SensI,” seems uninterested. Sensi is a Japanese word meaning “teacher.” He asks Sensi, “Would it be all right if I visited you at your home now and then?” Sensi agrees. 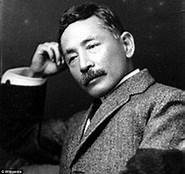 Sōseki writes, “Often, during my association with Sensi, I was disappointed in this way. Sometimes, Sensi seemed to know that I had been hurt, and sometimes, he seemed not to know. But no matter how often I experienced such trifling disappointments, I never felt any desire to part from Sensi. Indeed, each time I suffered a rebuff, I wished more than ever to push our friendship further” (8). To westerners, this behavior might seem odd at the least, but apparently, not to the Japanese. As time passes, the two men develop a moderately close relationship. Sensi also holds back some information, when the young man questions him. More about this in Part Two and Three. Part Two is “My Parent’s and I.” The young man has managed to complete his degree. His father has developed an unspecified illness, and the young man returns home for an extended period. The father pushes his son to determine the course of his life. Sōseki writes, “‘I must go,’ I said, ‘if I am to find the kind of job that you had in mind for me.’ // I made it seem as though I wished to go to Tokyo merely to realize my father’s hopes for me. // ‘Of course, I want my allowance only until I find a job.’ // Secretly, I felt that there was little chance of my finding a decent position. But my father, who was somewhat removed from the realities of the world outside, firmly believed otherwise. // ‘All right,’ he said. ‘Since it will only be for a short time, I’ll see to it that you get your allowance. But only for a short time, mind. You must become independent as soon as you find employment’” (98). Before the son leaves for Tokyo, he receives a manuscript from Sensi. He begins to read, but it is long and complicated. He saves the reading for a later date. Part Three is “Sensi and His Testament.” The “Testament” is the long manuscript-letter Sensi sent to the young man. In it, Sensi answers the questions the young man had asked during their friendship. Shortly after, Sensi dies. In the letter, he reveals the source of his misanthropy as a way to instruct the young man in his future. This fascinating story of friendship, teaching, learning by the great Japanese writer Kokoro by Netsume Sōseki is a serious philosophical exploration of life and death. 5 stars.